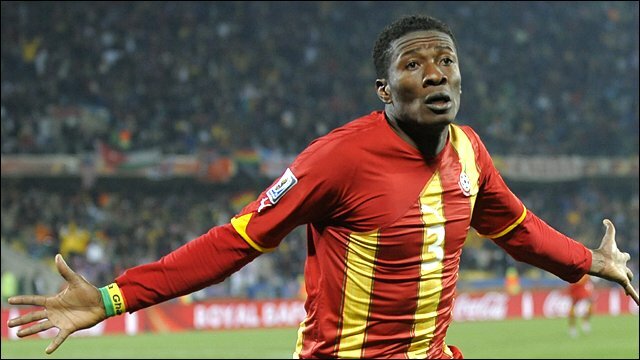 Ghana and Sunderland star Asamoah Gyan has been crowned BBC African Footballer of the Year for 2010. The Black Stars striker clinched the title with an overwhelming majority – receiving more than half of the vote. He finished well ahead of fellow Ghanaian Andre ‘Dede’ Ayew, Ivorians Yaya Toure and Didier Drogba and Samuel Eto’o of Cameroon. He added: “It was really hard to win this award, especially because of all the other players I was up against. Gyan had a memorable year internationally, leading Ghana to second place at the Africa Cup of Nations in Angola, scoring three of the four goals that helped Ghana reach their first final in 18 years. At the World Cup in South Africa, the 24-year-old grabbed the world’s attention as his three goals helped the Black Stars progress from the group and into the quarter-finals. But he shot to prominence through unfortunate circumstances as his missed penalty against Uruguay with the last kick of the game denied Africa its first semi-final berth. He then earned widespread praise and went some way to redeeming his error when recovered his composure to score in the shoot-out following a 1-1 draw. Despite the disappointment of the World Cup exit, the finals boosted his career as he left French side Rennes to become Sunderland’s record signing at £13m. “Asamoah has been a fantastic addition to the Sunderland squad,” said Sunderland coach Steve Bruce, who presented Gyan with the African Footballer of the Year trophy. “As our record signing, he had a lot of expectation placed on his shoulders but he has embraced the club wholeheartedly and has settled in very well. “He’s a strong, quick player and brings something different to the side. “He has formed positive partnerships with other strikers and he’s a real bright spark around the place too – always smiling and happy. “He has an infectious joy for football, and we are reaping the rewards of that. The search for BBC African Footballer of the Year 2010 began on 15 November when fans were given a chance to choose their African football hero from a shortlist selected by experts from each of the continent’s 52 countries.